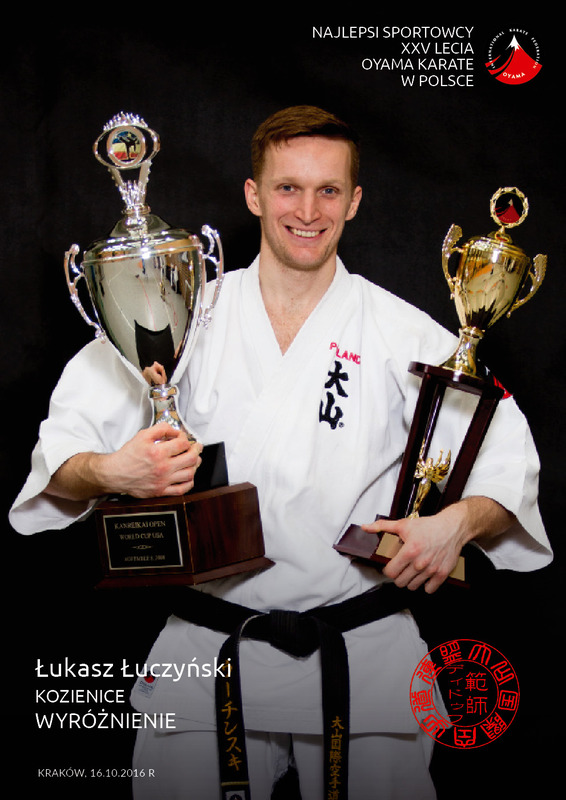 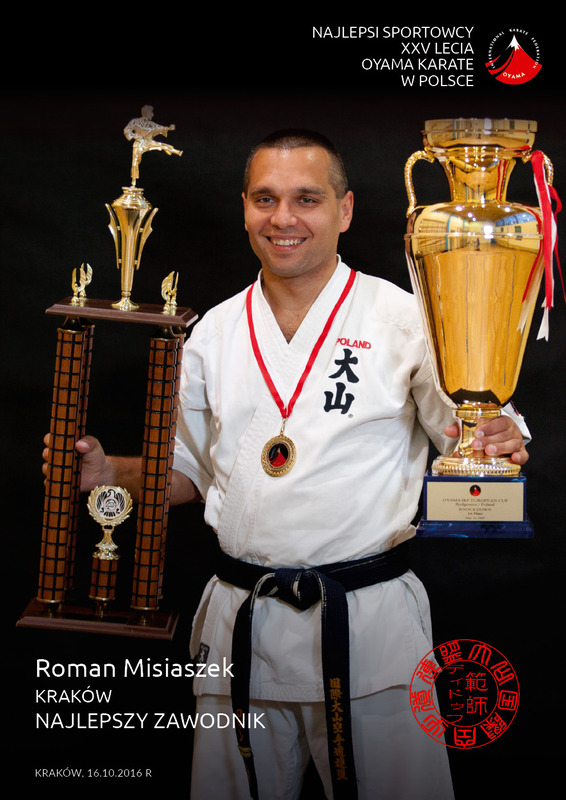 By the vote of the Board of OYAMA Polish Karate Federation Sensei Roman Misiaszek, 3rd dan (Krakow) was honored a best sportsman award and Sensei Anna Kolodziej-Plewka 3rd dan (Lubliniec) best sportswoman of the 25 years of OYAMA Karate in Poland (1991-2016). 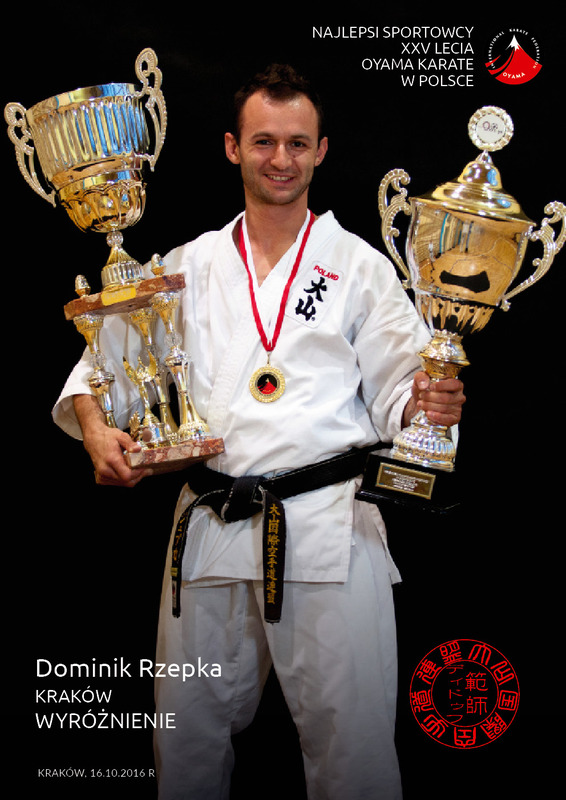 Moreover the Board honorably mentioned Sensei Danuta Fyda-Granek 4th dan (Katowice), Sensei Anna Majczak 3rd dan (Lublin), Sensei Dominik Rzepka 3rd dan (Krakow), Sensei Lukasz Luczynski 2nd dan (Kozienice) and Sensei Dawid Kiszycki 2nd dan (Bialystok). 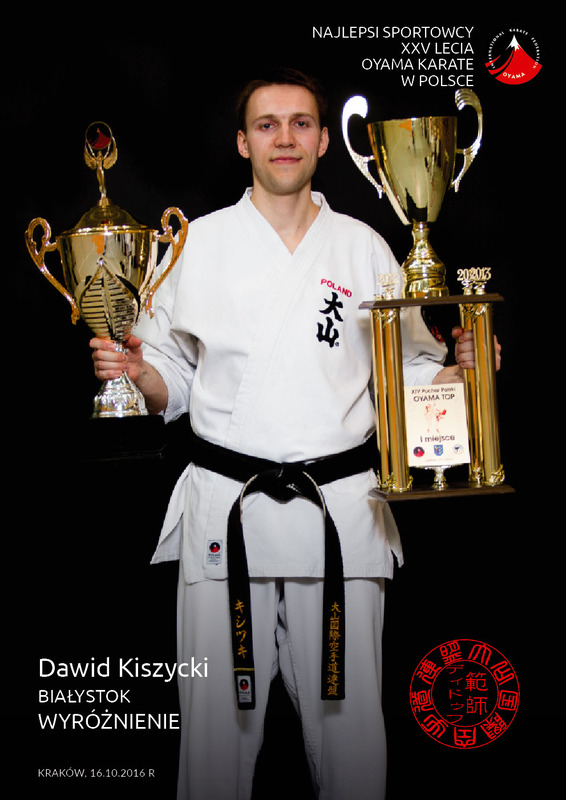 Laureates were chosen from the medalists of World and European Championships and other international tournaments.